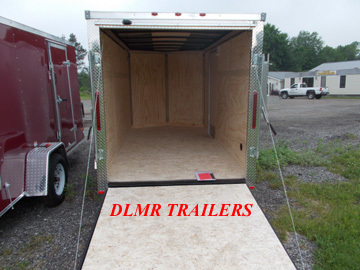 (((((( MUST ORDER)))))) 7'x14' Pewter cargo trailer with ramp. 3500 lb tandem spring axles. LED strip tail and brake lights, 12v dome light monted beside door. Breakaway box, battery, & switch, 7 way electrical plug, 2 5/16" coupler.